In Los Angeles alone, $16.4M is lost to cybercrime every month. Cunning network security threats affect 80 million households and 7 million small and medium-sized businesses. Anyone can easily buy training, tools and services for committing fraud, hacking systems, buying stolen credit cards, setting up fake websites, etc. But knowing how hackers are entering your network can prepare your business to thwart these devastating cyberattacks. 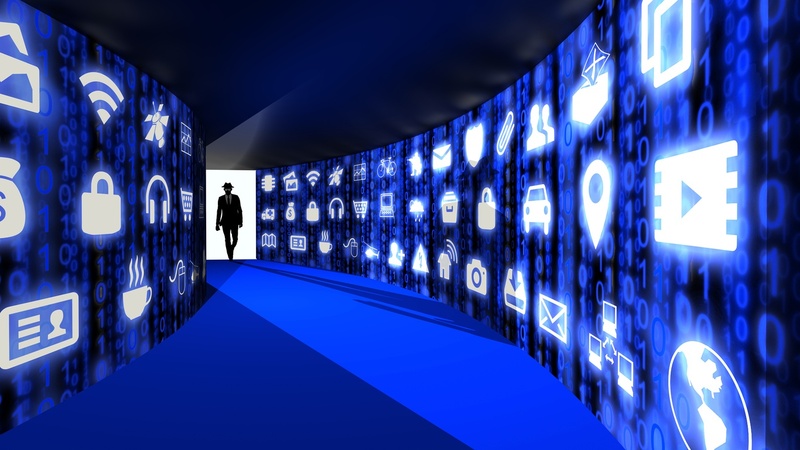 Did you know one in five small businesses fall victim to cybercrime each year? Ever day, 82,000 new malware threats are released, according to PC World. Small businesses are low-hanging fruit because business owners often don’t believe they’re a target. So they have very loose or no network security systems and protocols in place. In fact, most big-name security breaches began with a hacker infiltrating a smaller vendor and gaining access to the company network. A common but potentially devastating cybersecurity misconception is around bank fraud. You might think the FDIC protects you from cybercrime — if someone hacks into your bank account to steal money. But both the FDIC and the bank do not cover money stolen via cybercrime. Cancel debit cards: Bank accounts are the no.1 thing that gets compromised. Have a dedicated PC for online banking: Don’t use that for accessing any other websites, email, social or for downloading files and applications. Sign up for email alerts from your bank: Get alerted when a withdrawal over $100 occurs in your business banking account. Ransom and extortion might seem like the plots to a great thriller. But more and more, they’re becoming part of everyday business. Here’s how modern ransomware works: Once hackers infiltrate your network, they shut you out of your computer and hold your files at ransom until you pay what they ask. Crytoplocker is one example. Once it fools you into installing its software, it encrypts essential files on your computer. To get your files back, you must pay up. Cloud apps like Dropbox and Box pose another threat to your business. 7 million Dropbox passwords have been hacked, and mobile malware growth is accelerating. Mobile computing dangers are also on the rise. If a device is lost or stolen and the data was not encrypted, you may have violated a state data breach law. Laws increasingly put companies under the spotlight for stolen customer information, so understanding your role in customer data breaches is critical. You can learn about California data security laws here. Famous breaches like JP Morgan, Target and RSA Security began with infected email. You need to go the extra mile to add security protections like encryption. Identifying spammy emails might seem simple. But employees are often the ones who fall victim to them. At Computer Solutions Group, our cybersecurity experts simulate and send out spoofed emails to clients. Then we track and notice who is clicking and provide those users with training to prevent successful spam breaches. Malware refers to malicious software — or computer programs designed to infiltrate and damage computers without the user's consent. These include viruses, spyware, trojans, etc. Perkele Android Malware Kit is a prime example. This malware can help defeat multi-factor authentication that many banks use. It interacts with a wide variety of malware already present on a PC. When the victim visits his bank’s website, the trojan injects malicious code, prompting the user to enter his mobile information including phone number and OS type. When the bank sends an SMS with a one-time code, Perkele intercepts that code and sends it to the attacker’s control server. Then the malicious script completes an unauthorized transaction. As a small business owner, the idea of cybersecurity can feel daunting. To properly protect your network, you have to start with a thorough assessment. Computer Solutions Group provides a free network security audit to help uncover vulnerabilities. Look for hidden viruses, spyware and loopholes in network security that could allow hackers and viruses to compromise your network and confidential info. Answer your questions about updates, adding new equipment, remote access, etc. Diagnose ongoing problems or concerns you’re having. Verify the integrity of your data backups (tape backups fail 78% of the time). Review your server logs to uncover developing problems and conflicts that lead to downtime. Verify the quality of your internet connection and VoIP system. Don't wait for a network security threat to take your small business down. Get your free network assessment today.